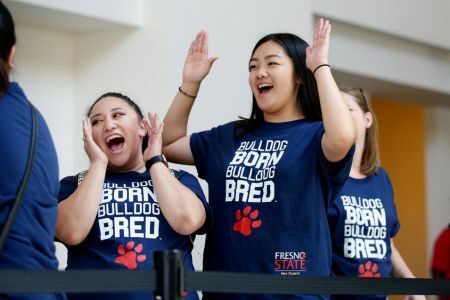 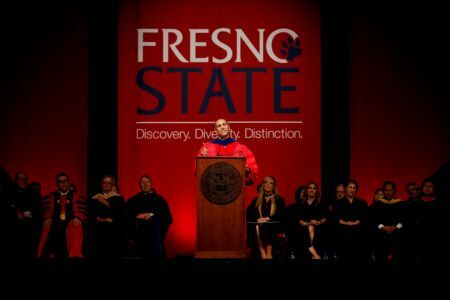 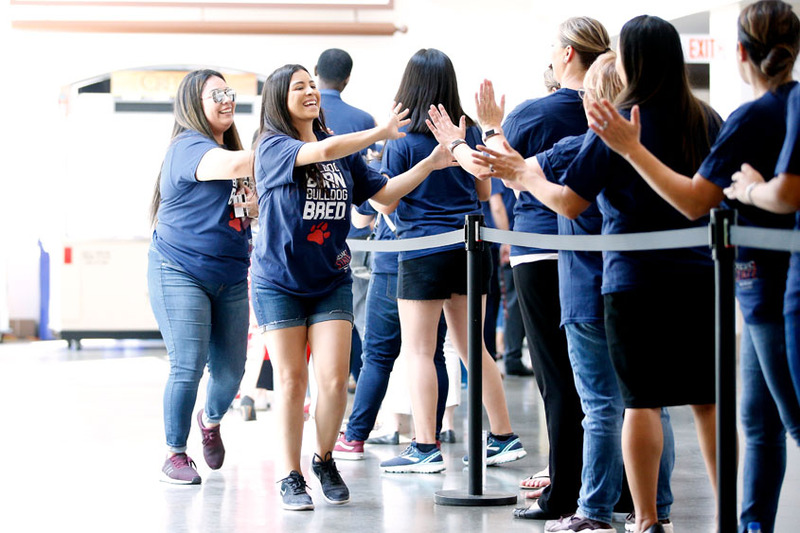 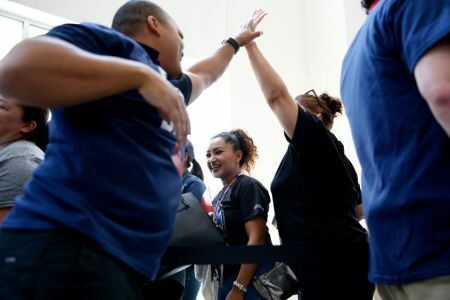 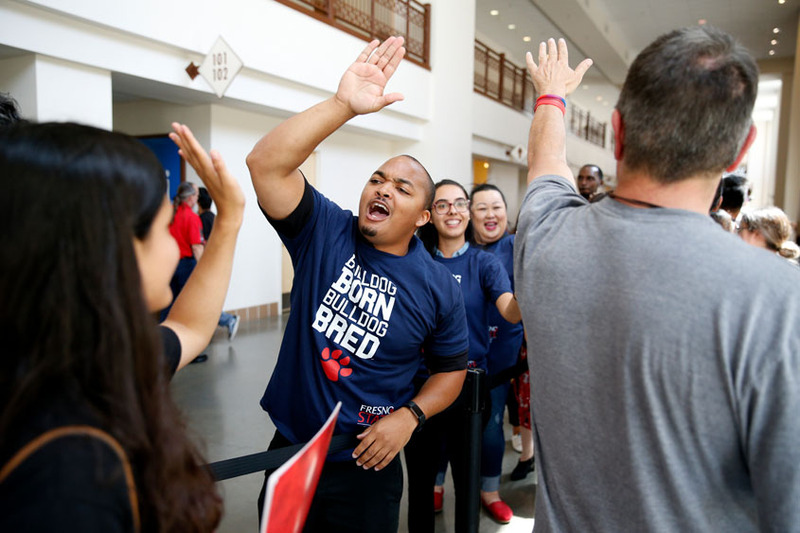 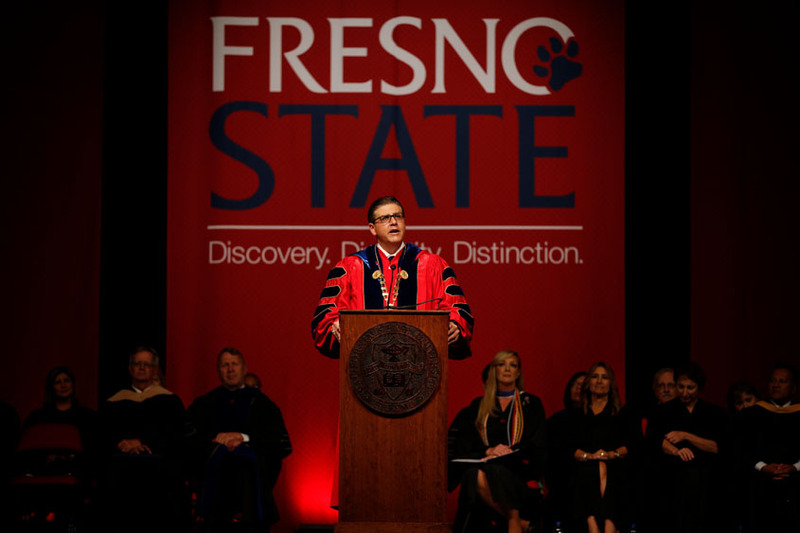 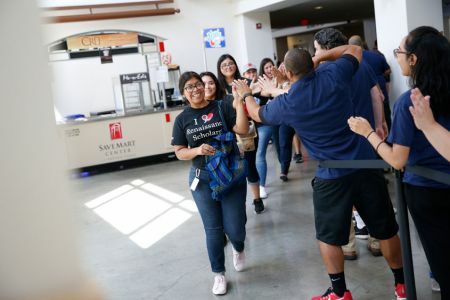 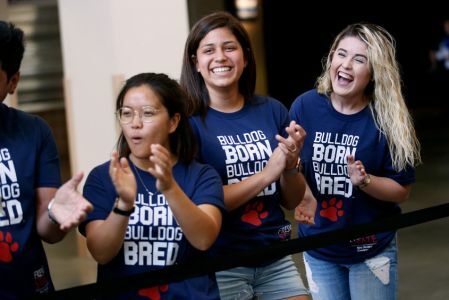 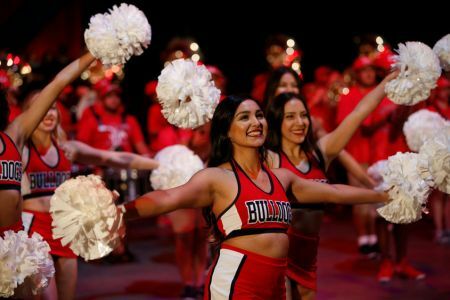 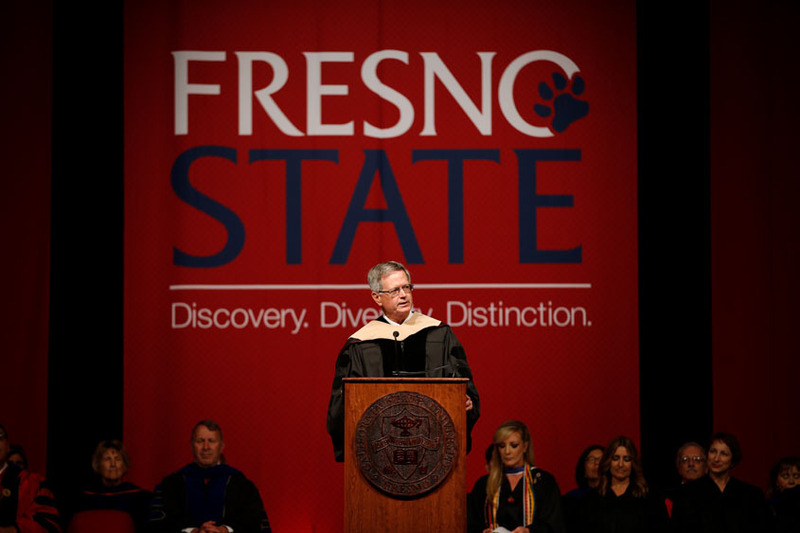 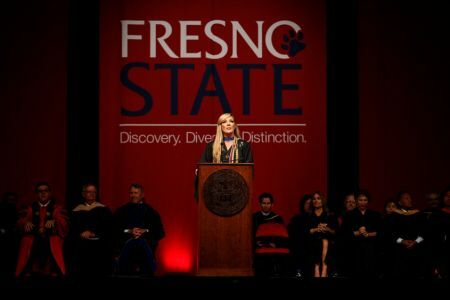 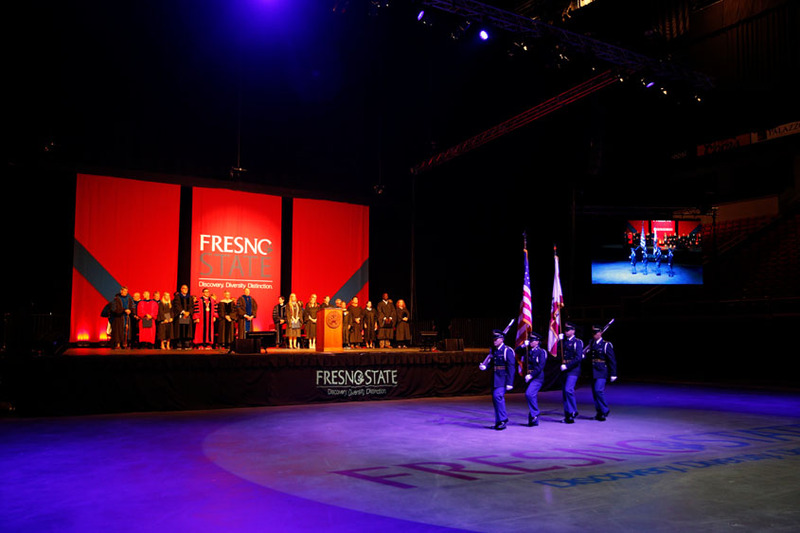 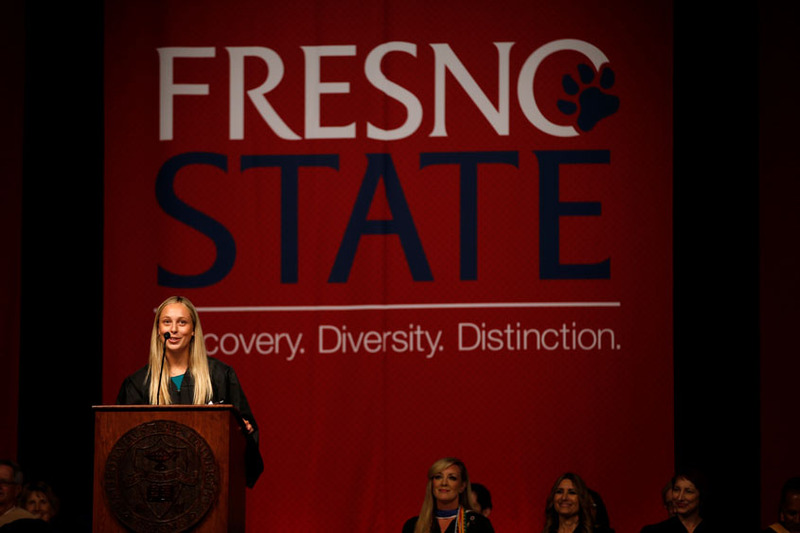 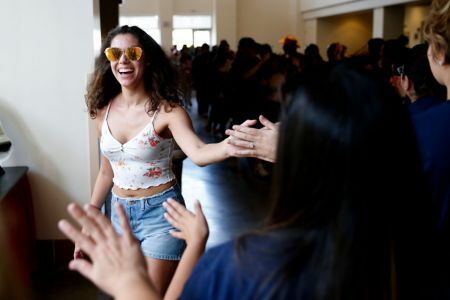 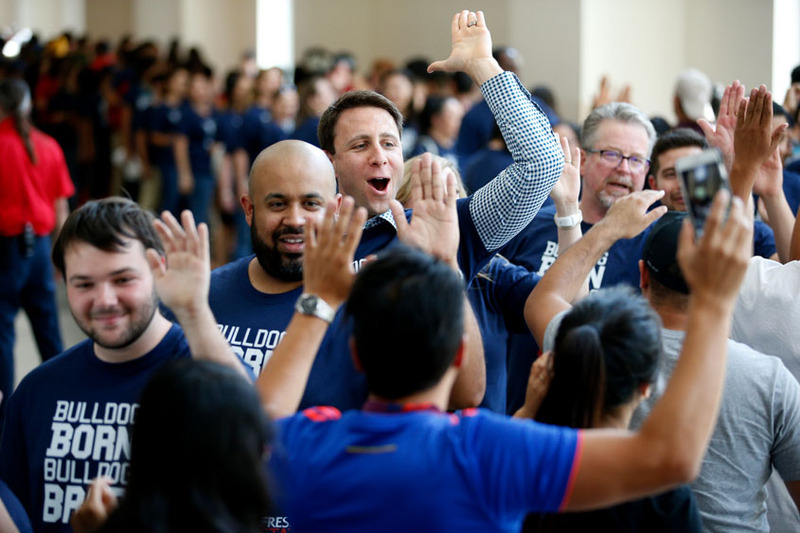 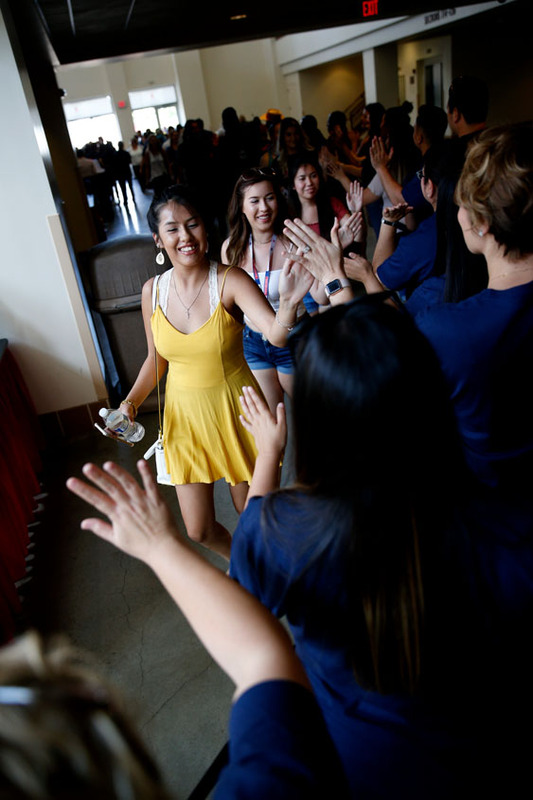 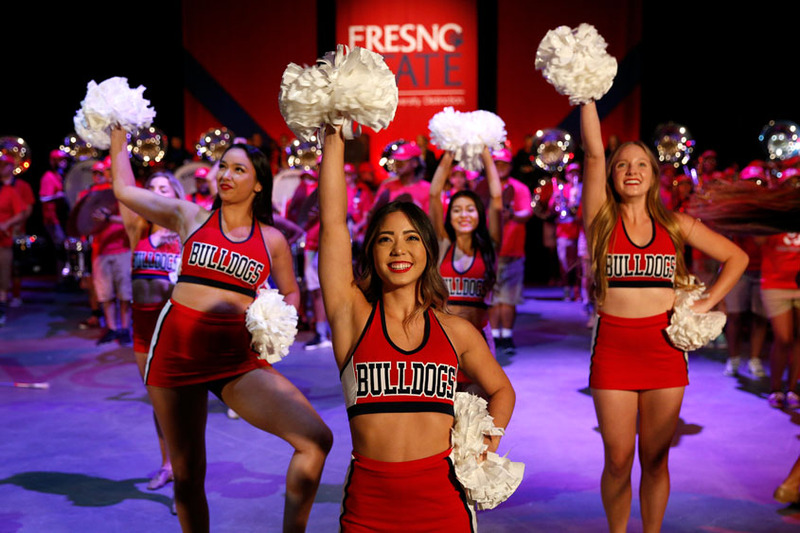 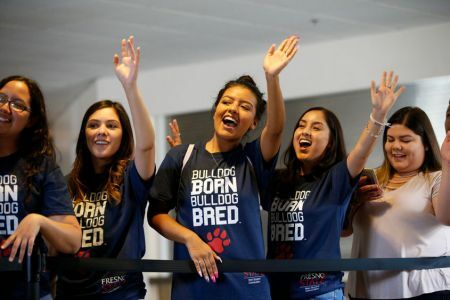 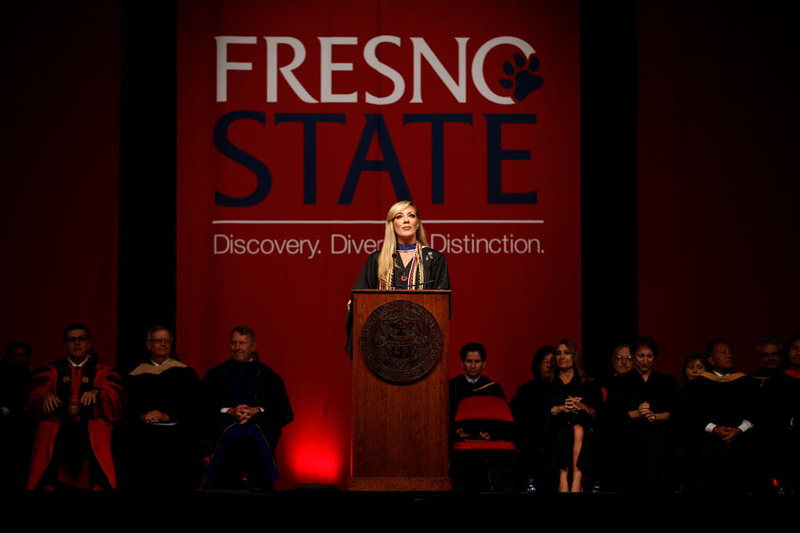 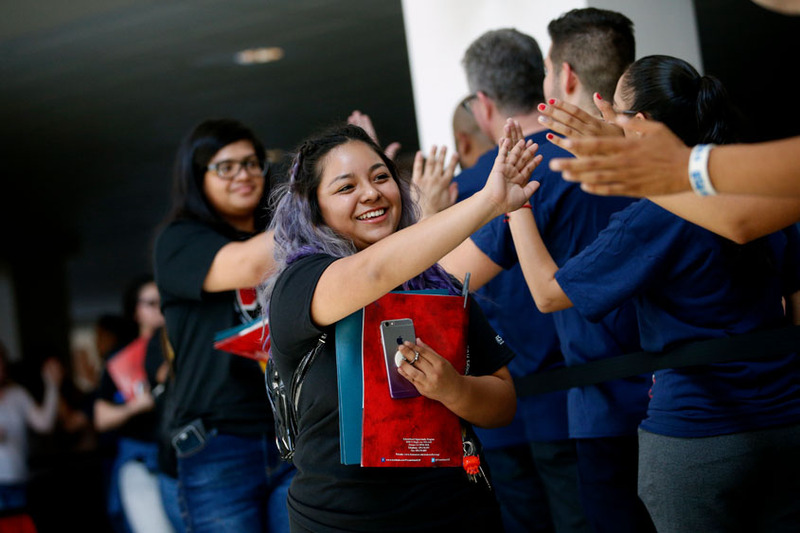 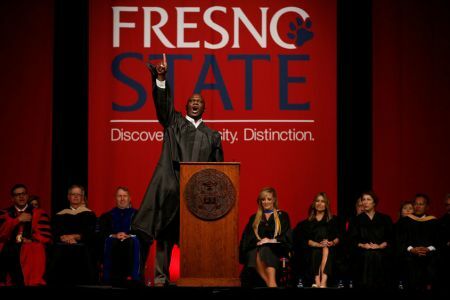 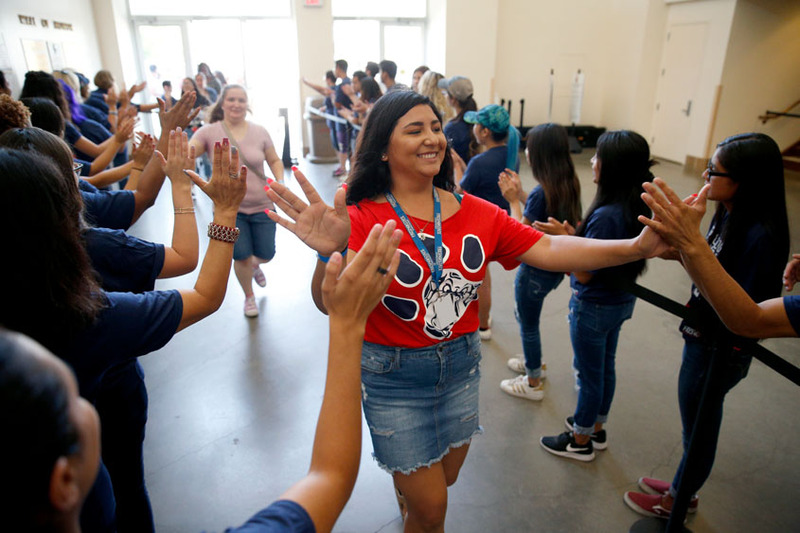 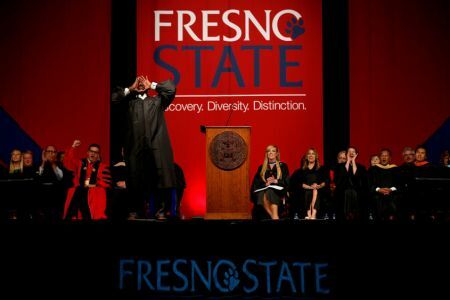 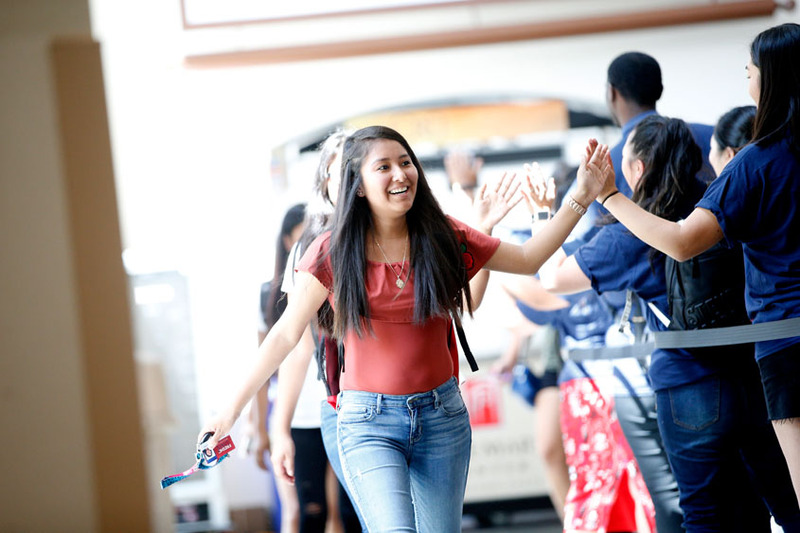 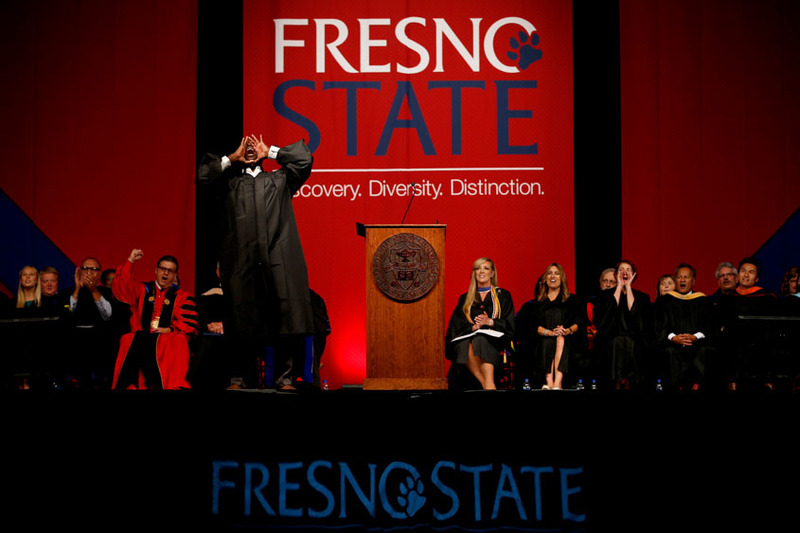 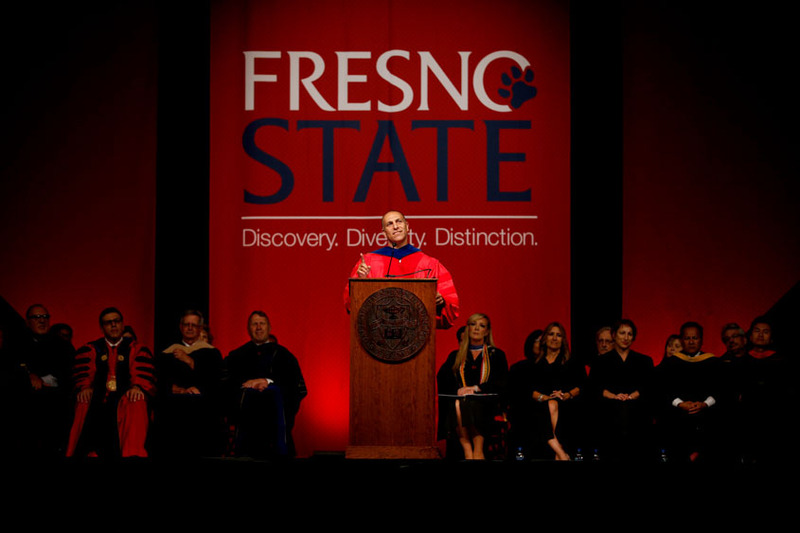 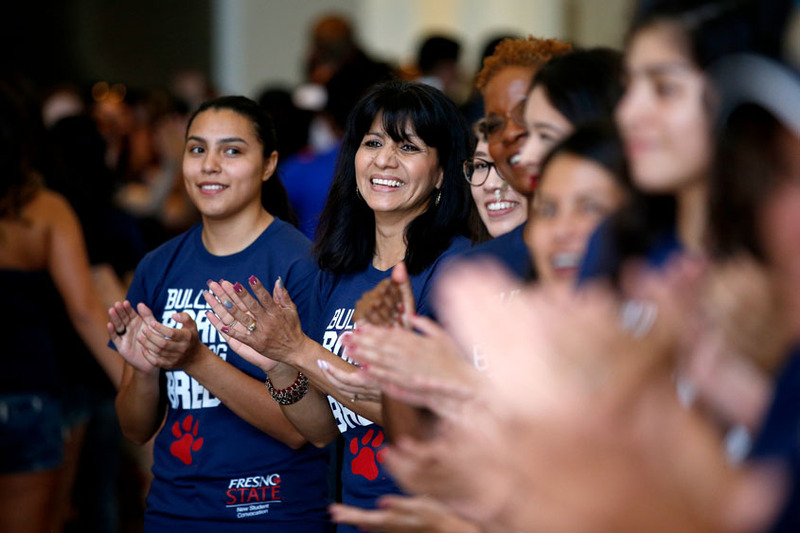 Fourteen universities, eight countries and a five-hour international news broadcast — and Fresno State students were the center of it all. 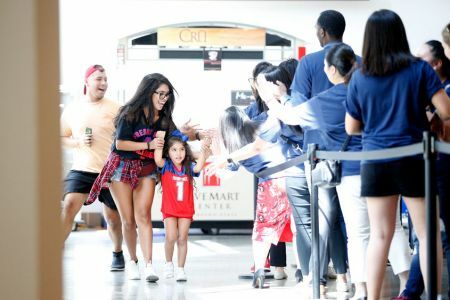 Fresno State students in the Mass Communication and Journalism Department anchored the Global News Relay in March, which included 20-minute segments produced by each of the participating universities on “The Impact of Sports in Our Community,” an in-depth look at cultural influences that affect participation in sports. 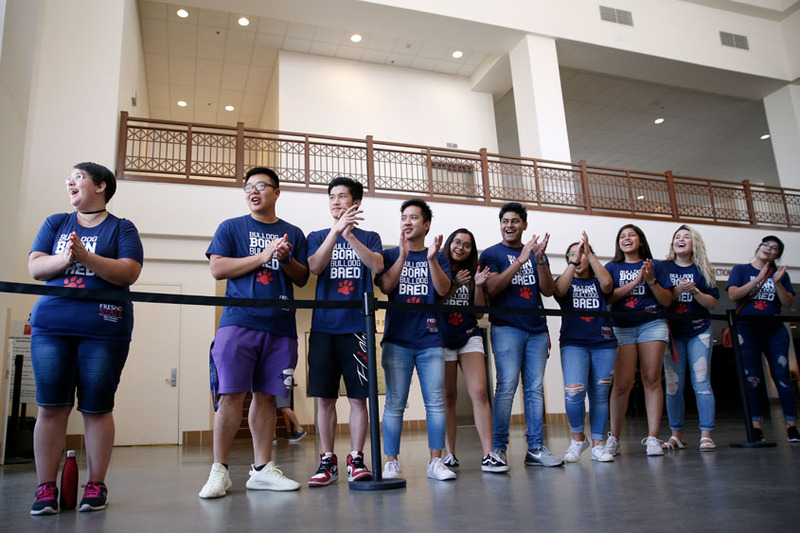 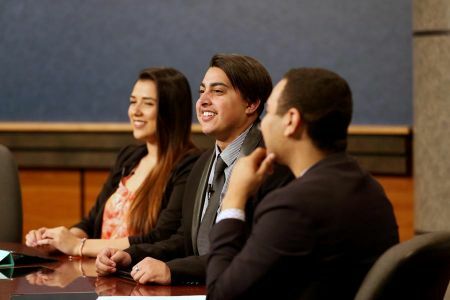 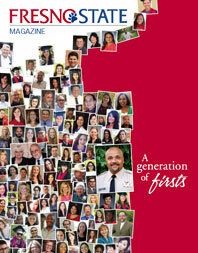 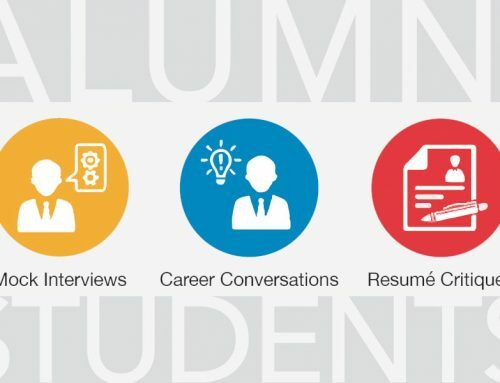 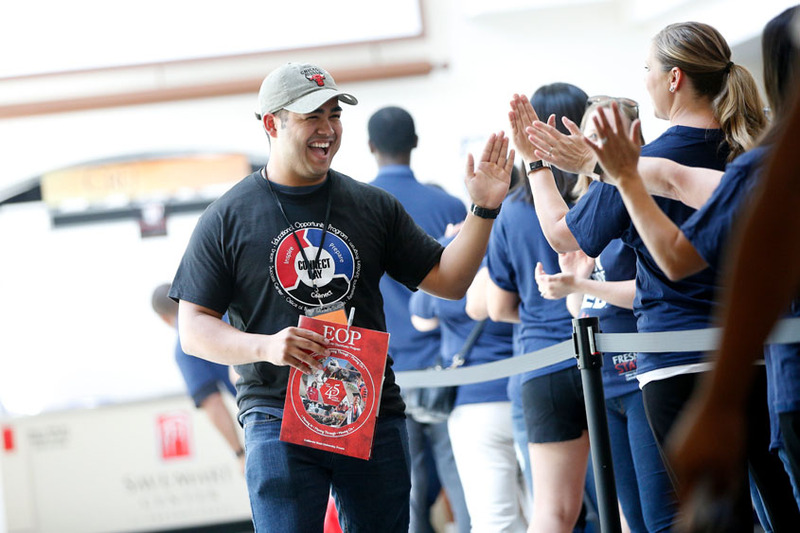 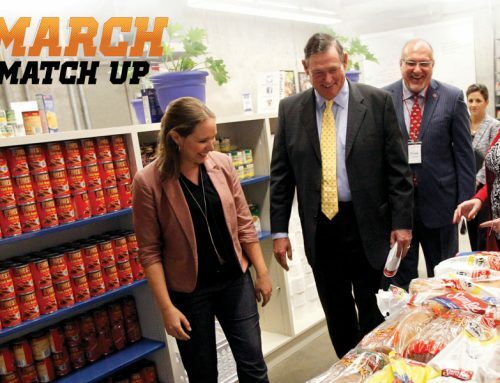 It was a chance for students to connect with those making an impact in the local community and share those stories with the world. 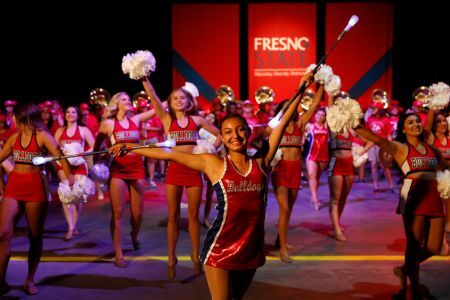 The stories ranged from a Jedi exercise class and unicycle football to minority representation in sports and childhood obesity. 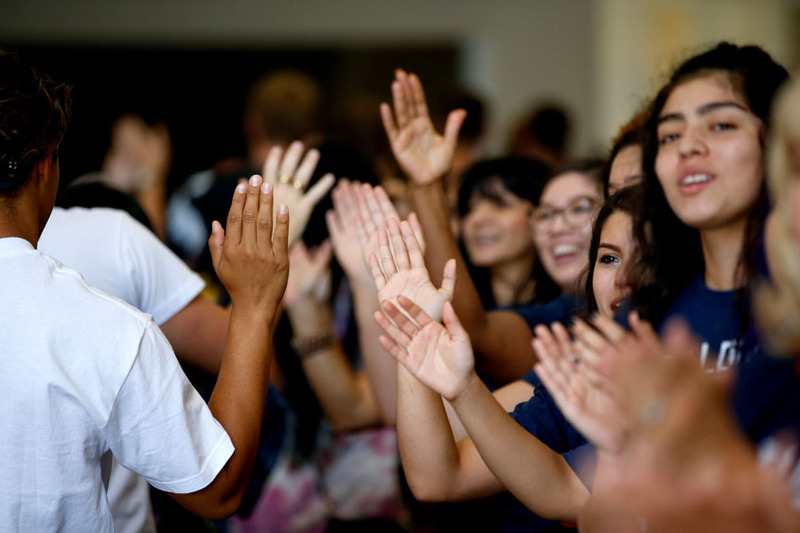 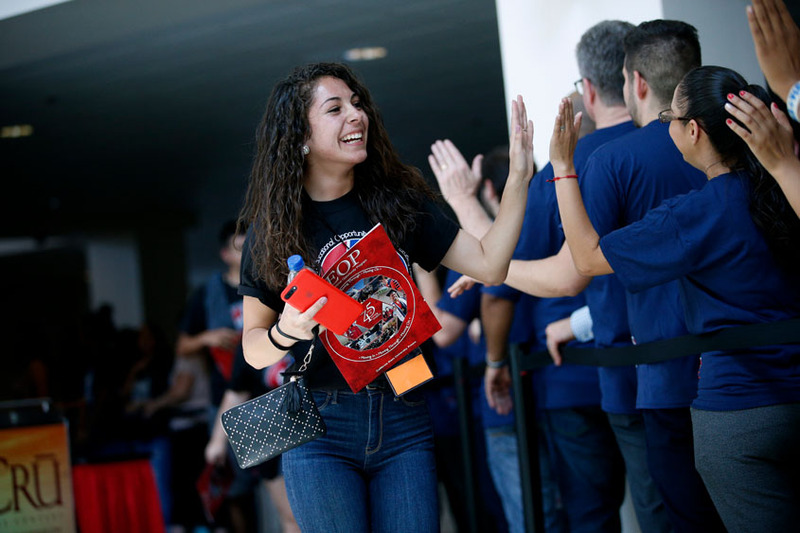 Other U.S. universities participating included Alabama, Baylor, Boston, Texas State and West Texas A&M, plus universities from Australia, Bulgaria, Egypt, England, Indonesia, Lebanon and the United Arab Emirates. 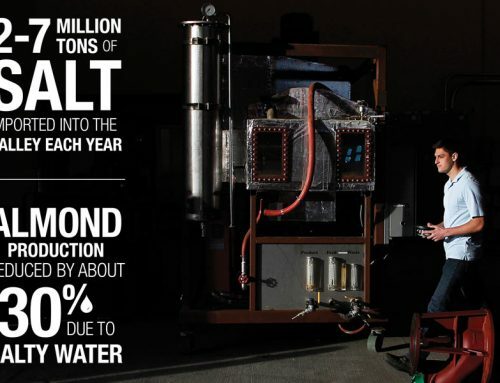 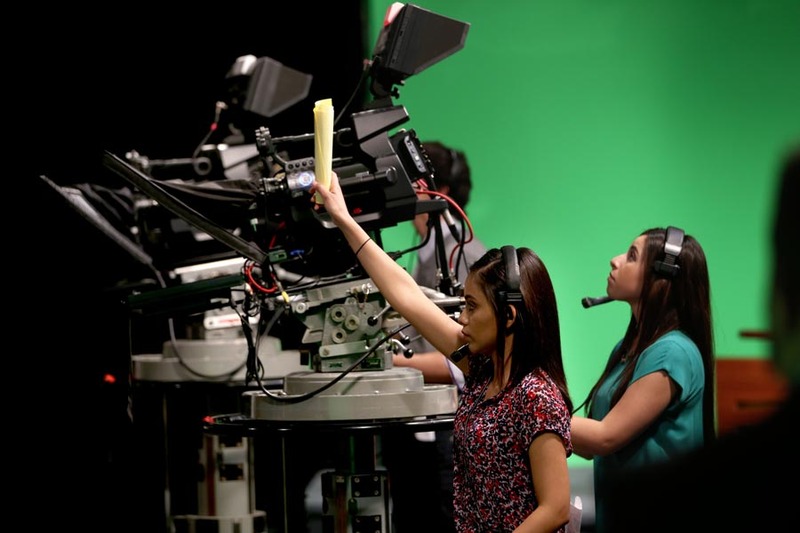 The project was founded in 2014 by the University of Salford in Manchester, England. 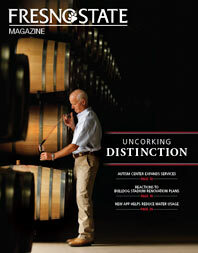 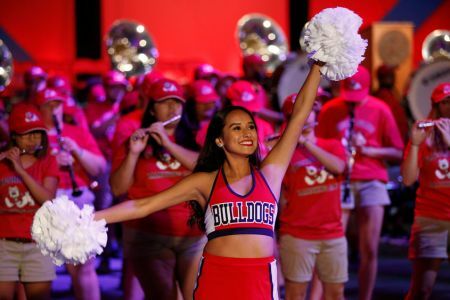 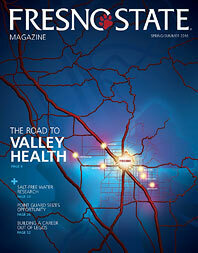 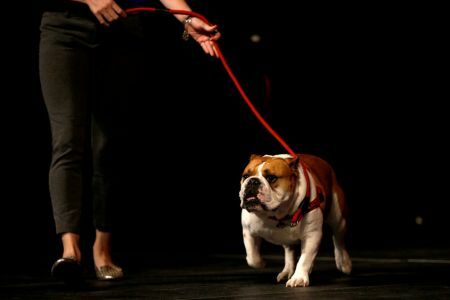 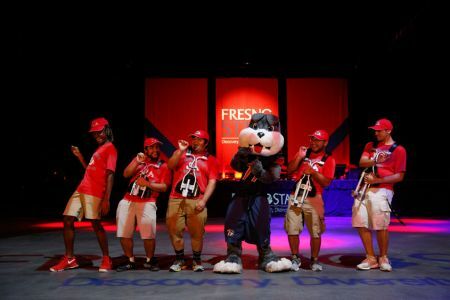 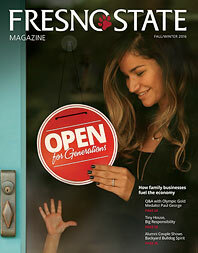 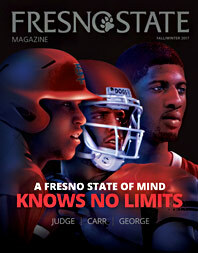 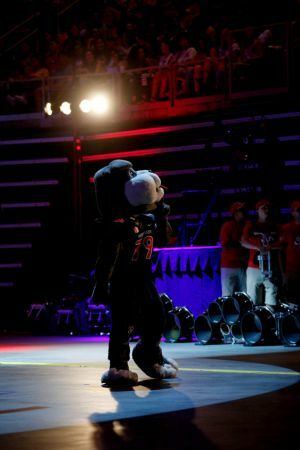 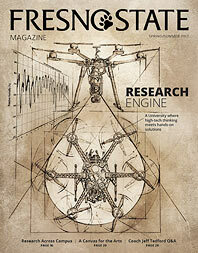 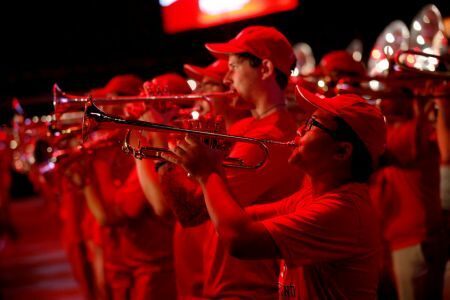 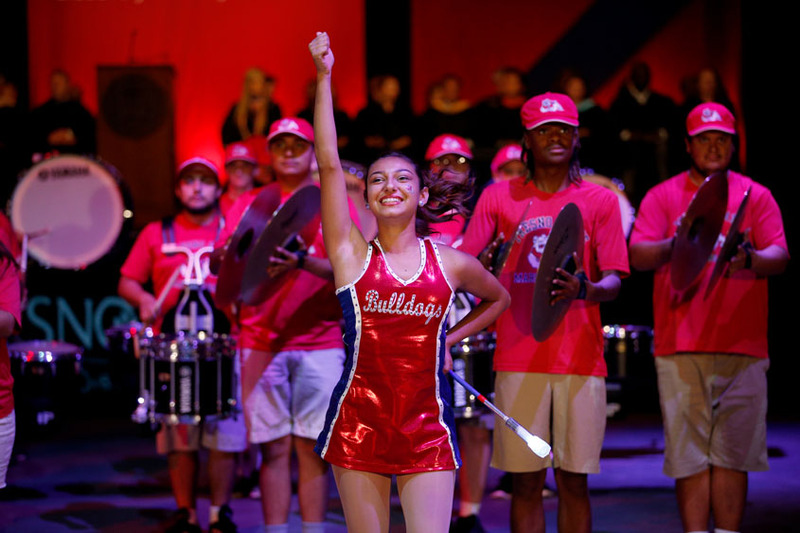 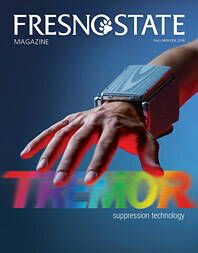 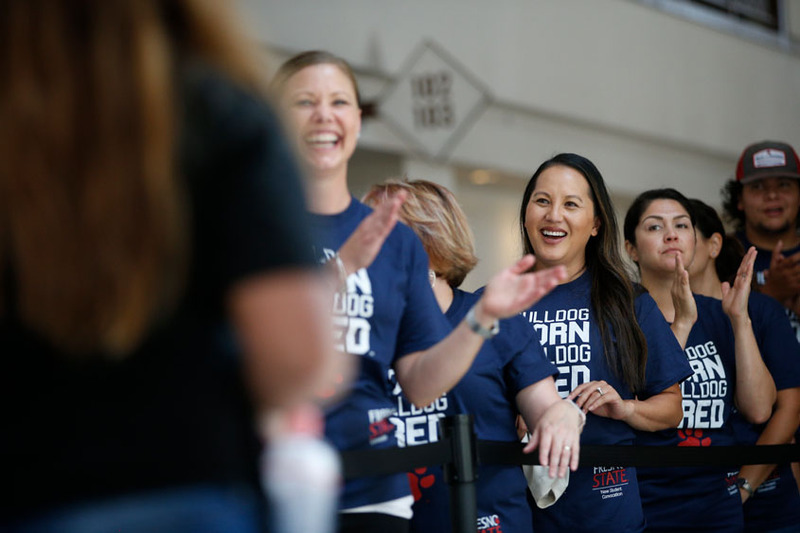 This was Fresno State’s second year as a participant but first year as host. 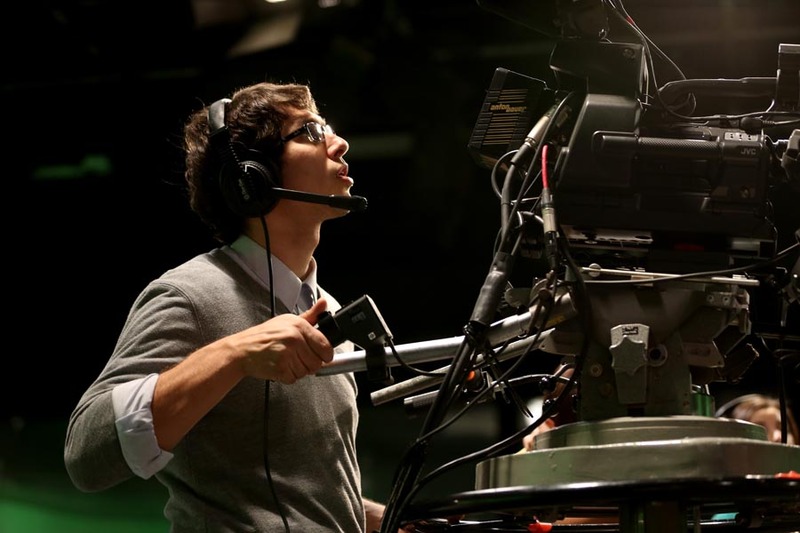 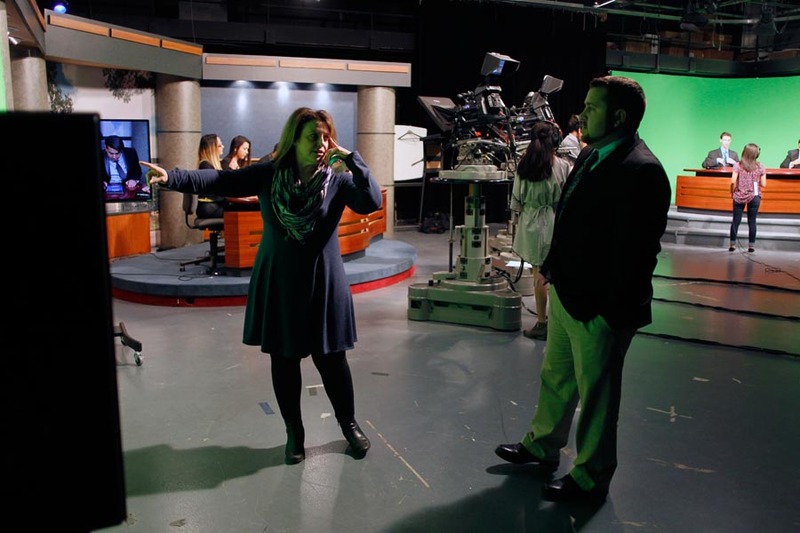 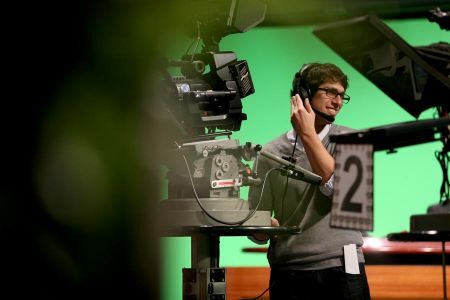 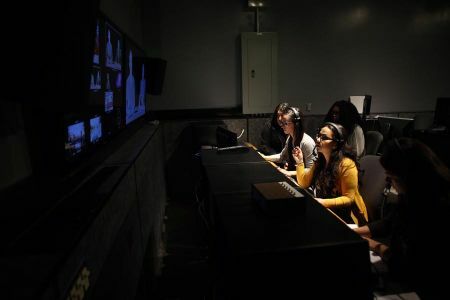 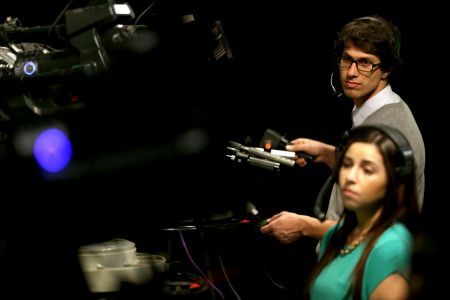 The University funded a studio upgrade to make it possible for the students to host the production. 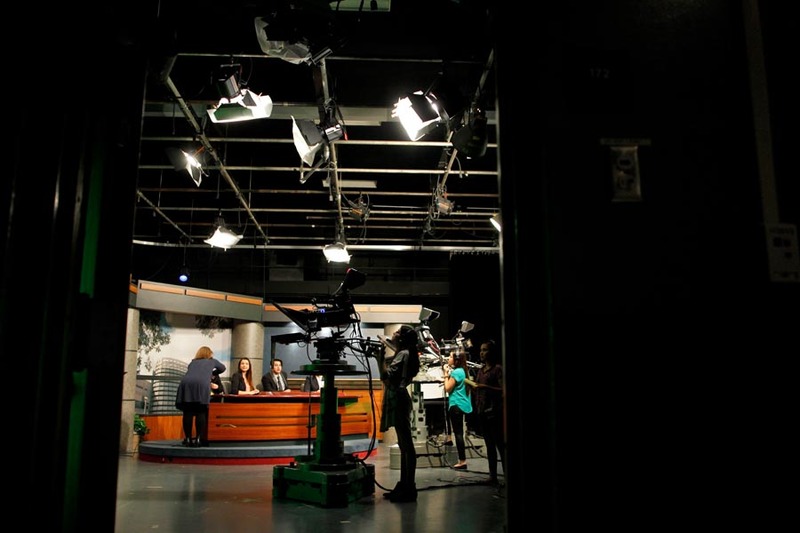 Faith Sidlow, assistant professor in the department, says working on this newscast has created a dynamic of peer-to-peer teaching. 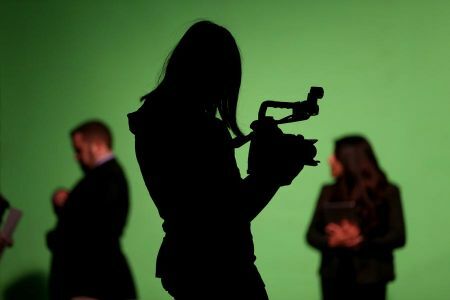 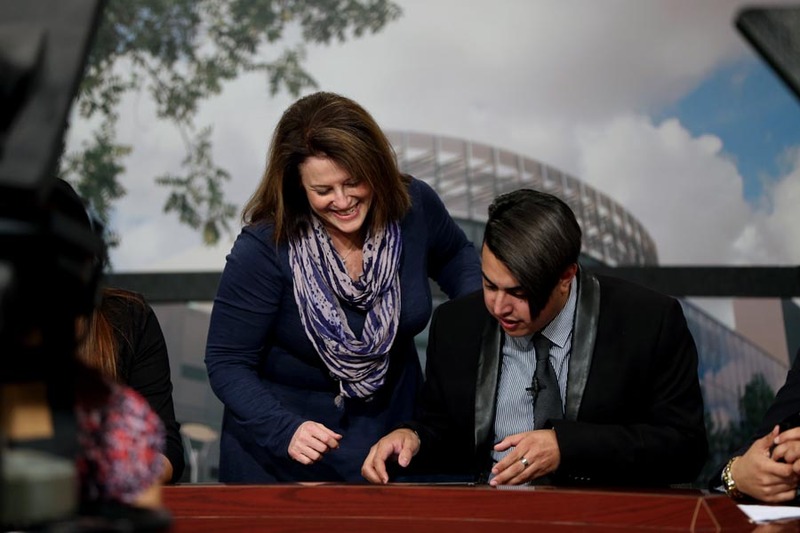 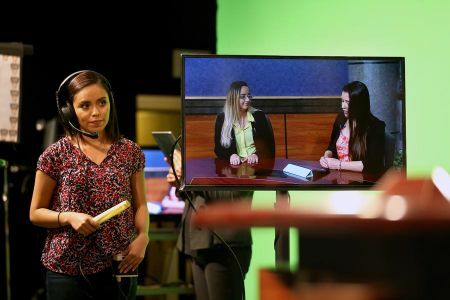 Students from broadcast journalism, multimedia production and public relations — in addition to a student from art and design — combined their skills to make the project possible. 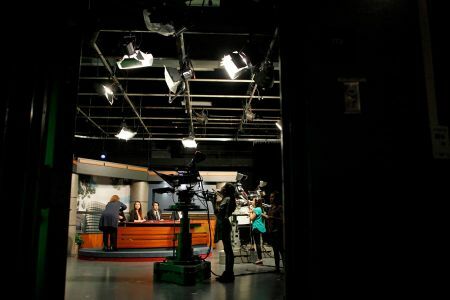 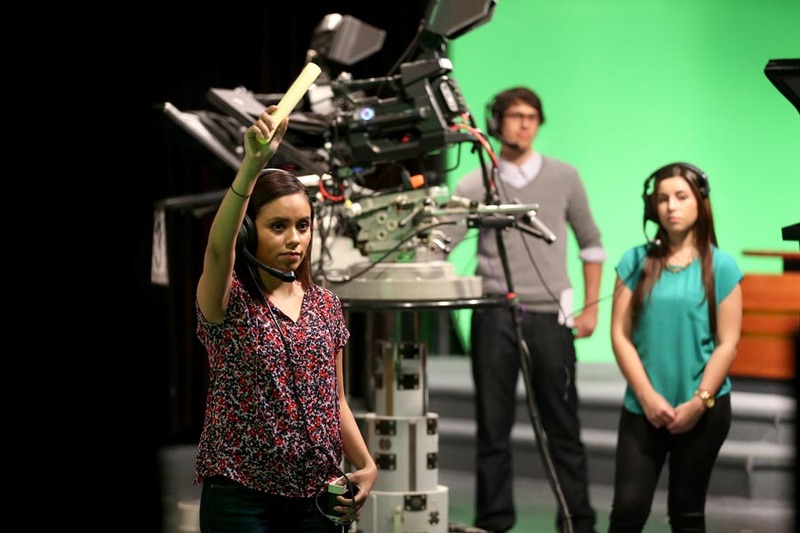 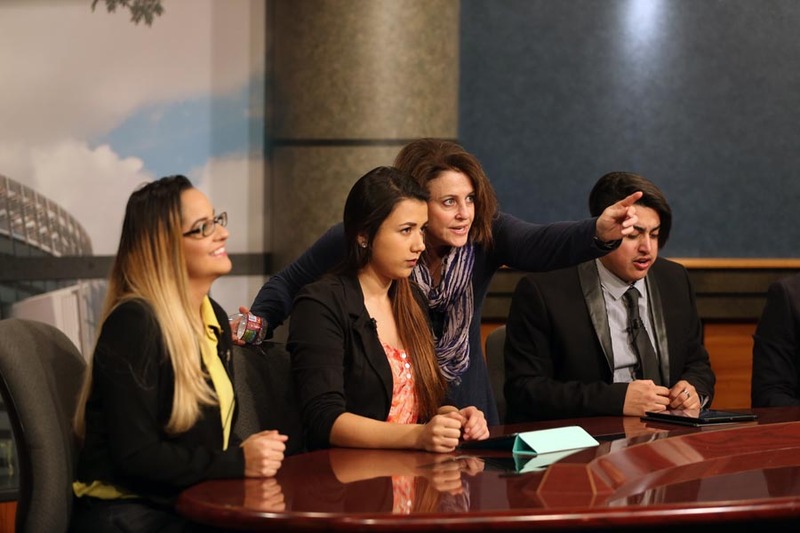 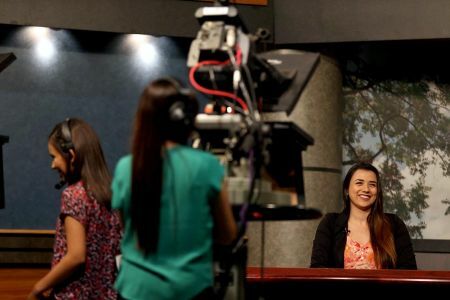 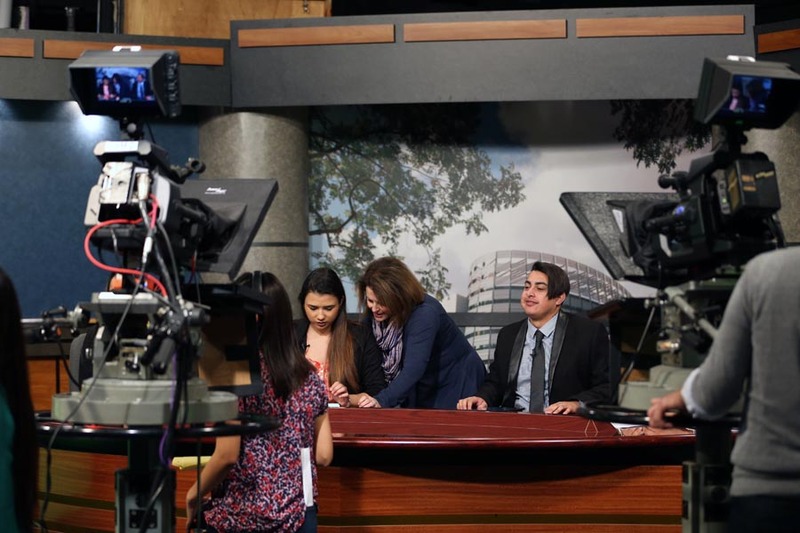 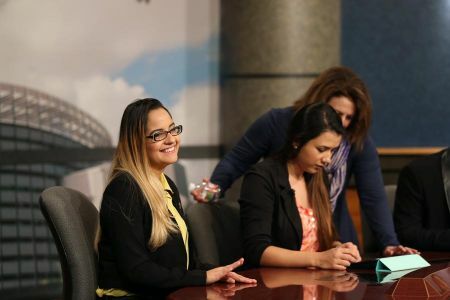 Fabiola Ramirez Muñoz, a double major in broadcast journalism and multimedia, and Janet Zaragoza, also a broadcast journalism major, produced the newscast. 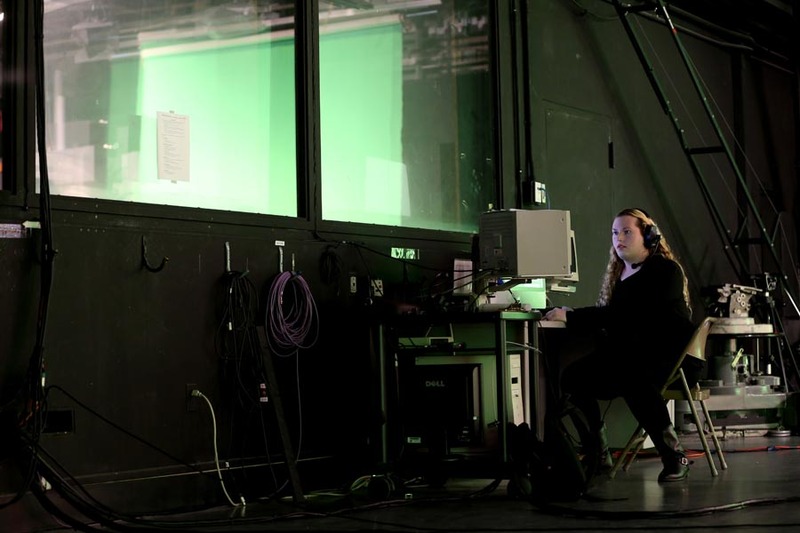 Multimedia and women’s studies major Natalie Nigg served as technical director for the relay and operated the new Tricaster, a professional, multi-camera production system. Professional, hands-on experience like this is attractive to many students, Zaragoza says. 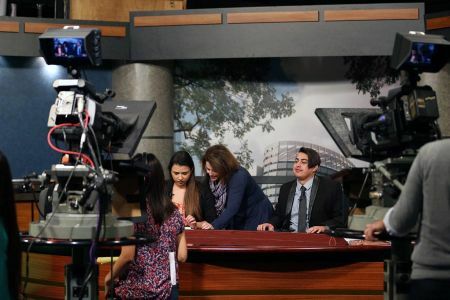 Sidlow says she hopes the students who are involved in the project will gain a more global perspective in covering and consuming news. 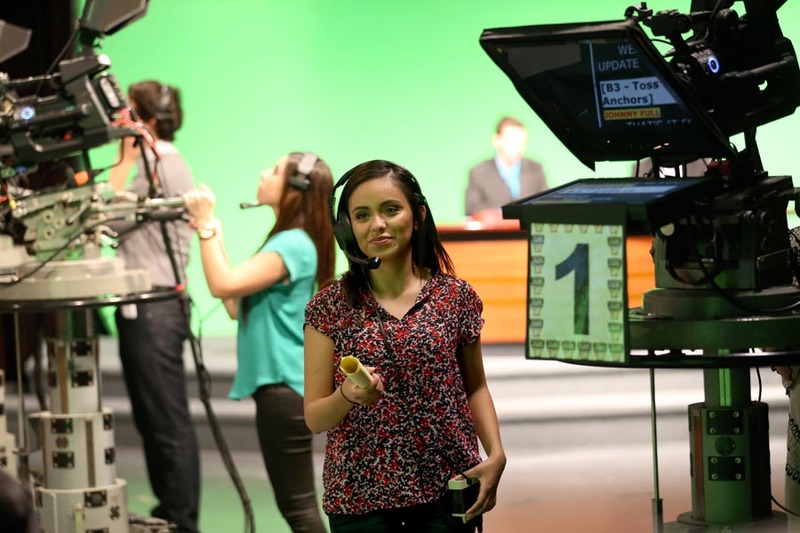 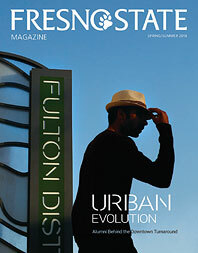 — Erika Castañon is a student news assistant for University Communications at Fresno State.